A man who subjected a dog to one of the slowest, most painful deaths possible has been handed a punishment so mind-bogglingly slight, it's almost as shocking as the crime itself. This week, Jonathan Thompson of Winona, Mississippi, plead guilty in court to charges of animal cruelty for burning his pit bull alive in his backyard last month. 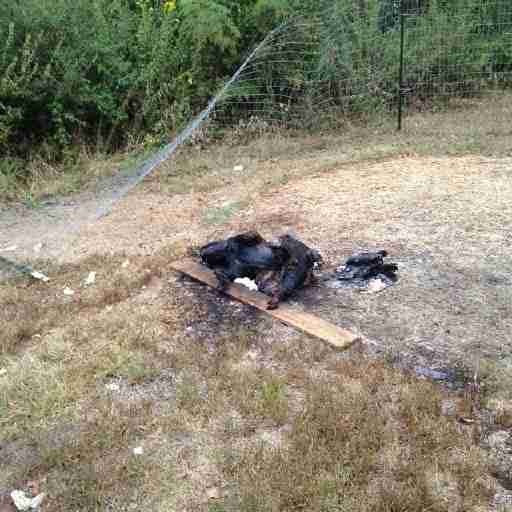 Although he had disposed of the animal's body before it could be examined, a photo taken shortly after the incident shows the dog's scorched remains surrounded by singed grass, suggesting that the dog had tried to roll around in an attempt to put out the flames. For that sickening act of cruelty, Thompson will not serve a single day in jail. Instead, he was ordered to pay a $327.50 fine. The sentence, which seems more on par with a traffic violation than taking an innocent life, has left animal welfare supporters reeling with disappointment. "It's extremely upsetting. It sends the wrong message to the community and there's no justice for this dog," Sharon Stone, of In Defense of Animals, told The Dodo. "Of course, no amount of money will change the way this dog suffered, but we would like to have seen some jail time." 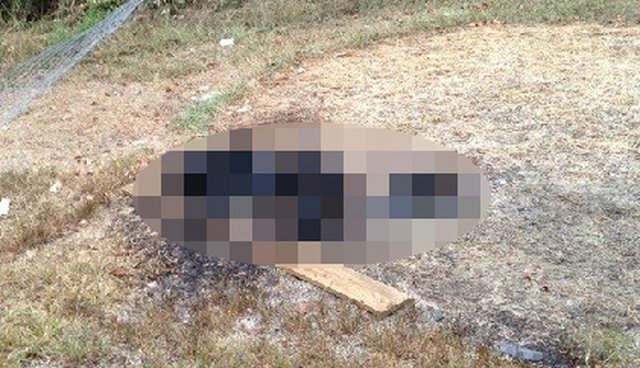 One reason for the light punishment, says Stone, is that Mississippi has some of the most lenient animal cruelty laws in the nation - wherein the act of burning a dog alive is merely a misdemeanor. That's something she says must change lest animals continue to suffer with little consequence for their abusers. "Animal cruelty is not a priority here. It should be a felony, no question," Stone said. "We need much stronger laws. If people don't talk to their legislators, they don't know that this is important to them. If the voting public would speak out, they would be a lot more likely to get behind a cruelty law that has teeth in it."